During one of our trips to Baguio about a couple of years back, we hunted the city for a budget hotel we could crash into after going through the mountains of Banaue and Sagada. 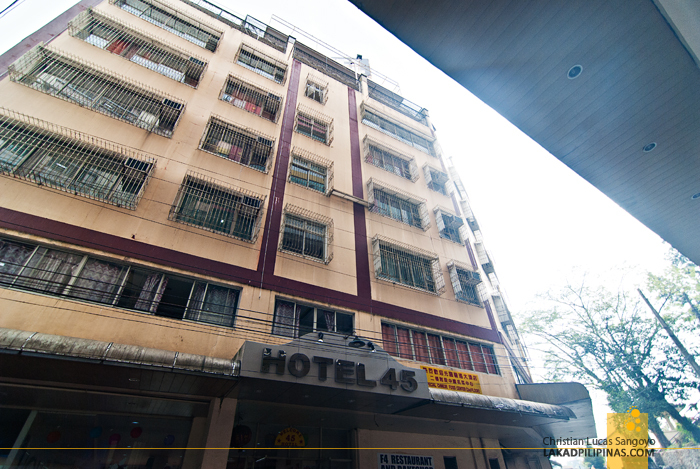 We checked the net en route to the City of Pines but we really need not have looked far, as right across SM Baguio, along one of the main thoroughfares of the city, is Hotel 45. 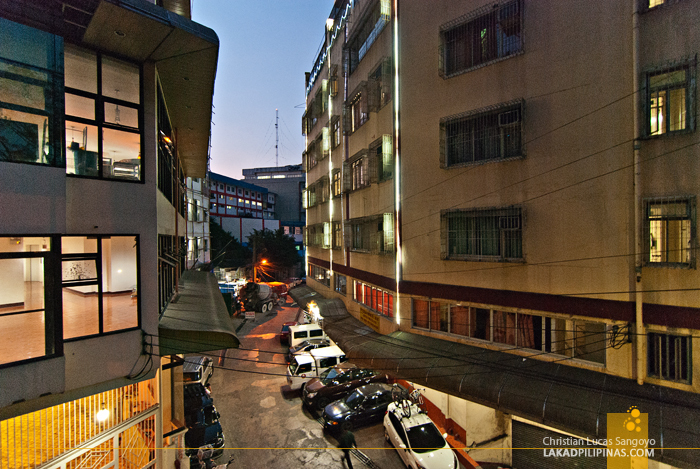 The hotel is quite prominent along Baguio’s chaotic skyline. You can easily see its billboard when going to Session Road. I have long since read about this place’s affordability, but haven’t really tried their rooms since they almost always were fully booked. I guess that’s a testament to how cheap their lodgings really area. We really didn’t book ahead at Hotel 45 on this particularly trip. We simply showed up at the front desk and asked if they have rooms available. The receptionist was quite polite but she told us they were already full. As expected. What they do have though is a vacant room at their extension building, which is just right at the back of the hotel. Lucky us! Like its main building, the annex doesn’t really scream luxury. But yes, this is no luxury hotel. By my estimate, they may be on the 3-star rating, and that’s stretching it. 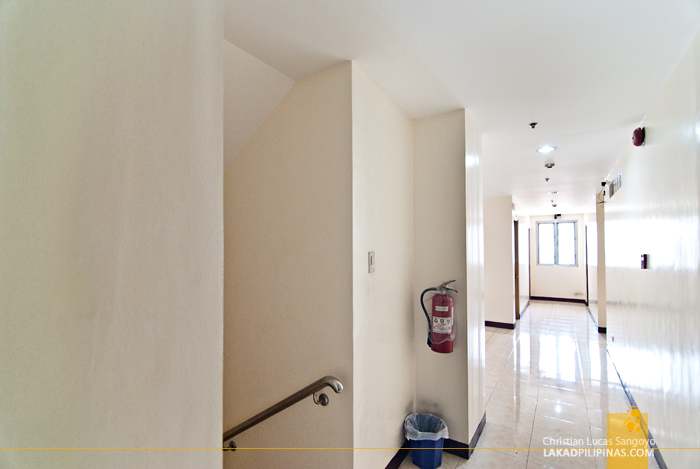 In all fairness, their lobby and facilities looks clean and decent enough, which is definitely enough for us. We booked their Two Single Bed Room for PHP1,400.00. It has two single beds, is air-conditioned, has a small flatscreen cable TV, a vanity table and an en suite toilet and bath. 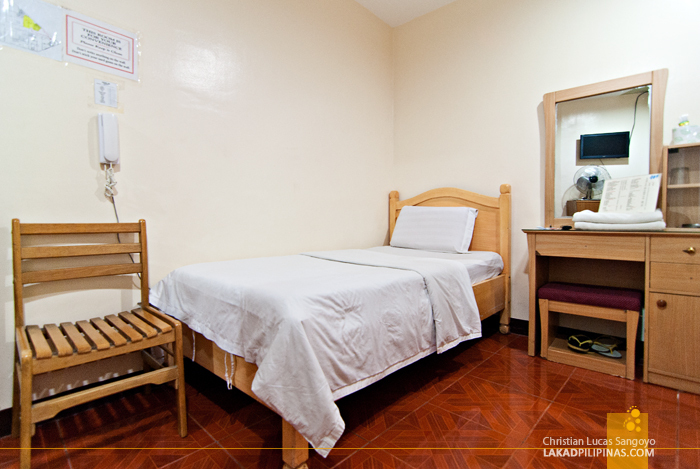 The room is good enough for two, but they let us have it for three for an additional PHP400.00. With its price, we never did really expect a window, but surprise surprise, it did have one. The view though wasn’t really anything to write you mother about. Breakfast, which is held at Hotel 45 Extension’s ground floor, is complimentary for guests. 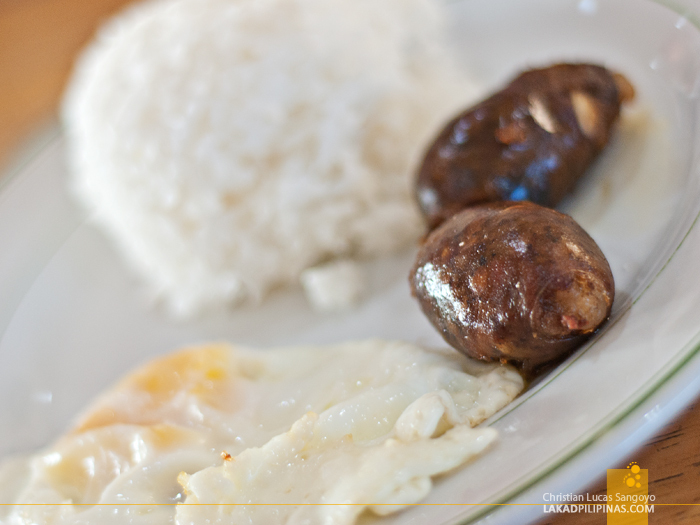 It’s not a buffet, of course, but a selection of typical Filipino silog breakfast. They do have Baguio longanisa, so I ain’t really complaining that much. Besides, the hotel is about two minutes away by foot from our favorite Baguio lugawan, if ever we feel that we didn’t have our fill. And that’s really the best thing about Hotel 45. 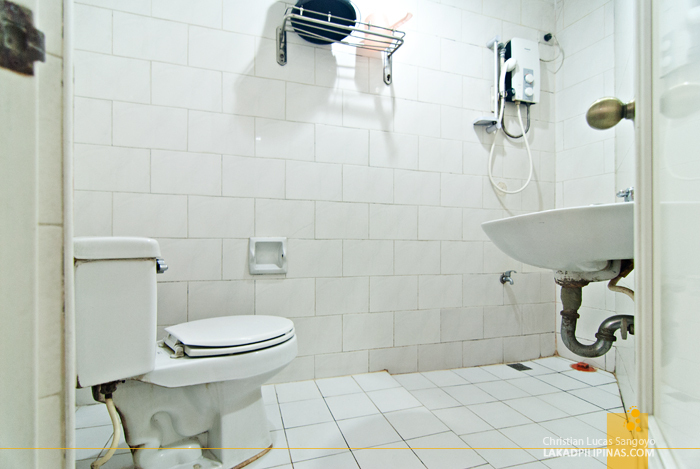 Even with its affordable price, it is near the happenings of Baguio City. 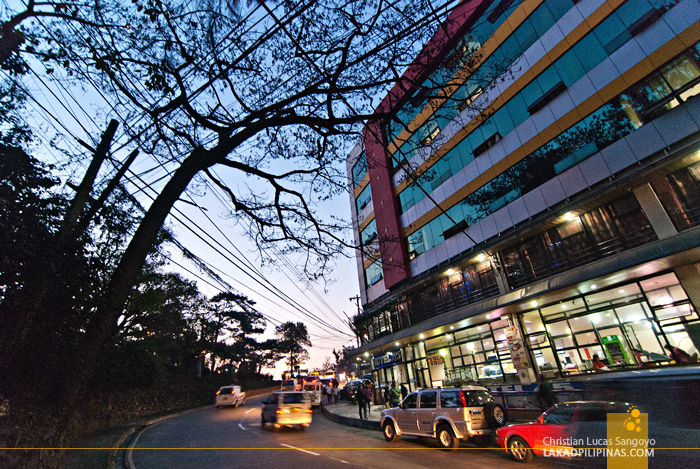 Session Road is a mere five-minute walk, SM Baguio is just in front of it, for book lovers, Mt. Cloud Bookshop is just a stone throw’s away, and if you wish to see some indie film, there’s also the Cinemateque just right beside the bookstore. 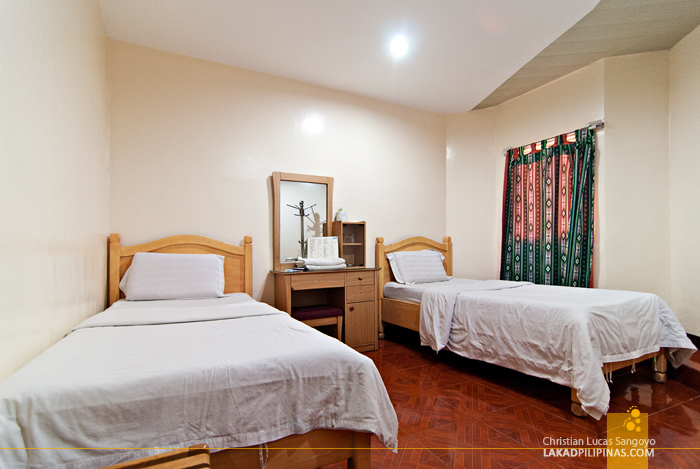 This is my favorite accommodation in Baguio... To add also, Hotel 45 is just 5 minutes away from Victory Liner Terminal. Glad you had a review! Hello Christian, meron bang website yong Hotel 45 na pwedeng magpareserve online? or just have to call them directly and get a reservation? Thanks! Thanks for that! I checked the link and Hotel 45's online reservation works!